Jesus Christ was getting ready to ascend back to His Father in heaven. 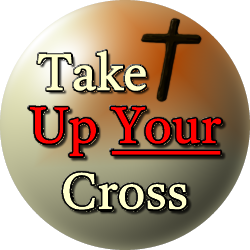 Before leaving this earth, He spoke candidly to His disciples about the perpetual; spiritual victory which had taken place upon the cross at Calvary. They were probably still a little awestruck at the recent supernatural events which had taken place right before their eyes! This biblical account is His short victory speech meant to encourage and strengthen His disciples before His departure. Jesus Christ knew that they would be unable to comprehend all that had happened but that it was vital for them to grasp the timeless and unlimited ceiling of His supernatural power. Not only was His presence and power in effect on this earth but He would soon be present in the heavenly realm sitting down at the right hand of His Father. 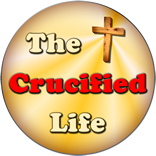 Today we have the divine account of Jesus Christ’s earthly life recorded for us in His Word. We are spiritually privileged to be looking back at the time of the cross and to read about His short time spent in human form on this earth. In fact, we can start at the beginning of time in God’s Word as He, in the Trinity, divinely created all things by speaking them into being. All things on this earth and in heaven are ultimately under the control of God. Since the beginning and unto the very end of time God in His Trinity; Father, Son, and Holy Spirit ultimately wield power over death, life, and the darkness of sin. The final battle will be played out on the battlefield of this earth according to the timing and will of God. But the battle has already been won!